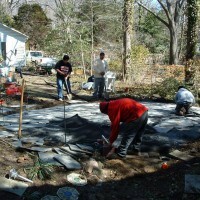 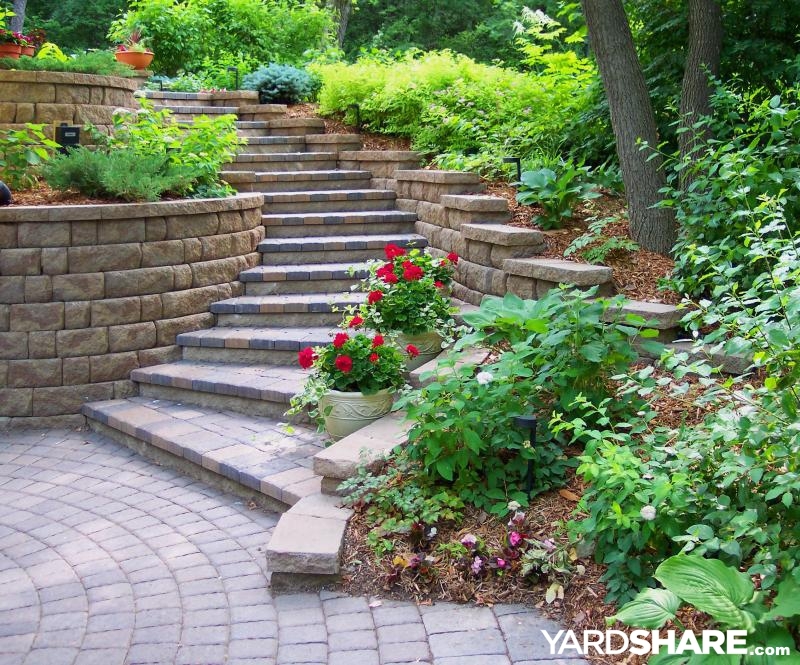 Our clients asked us to create more privacy from the street without "walling them in". 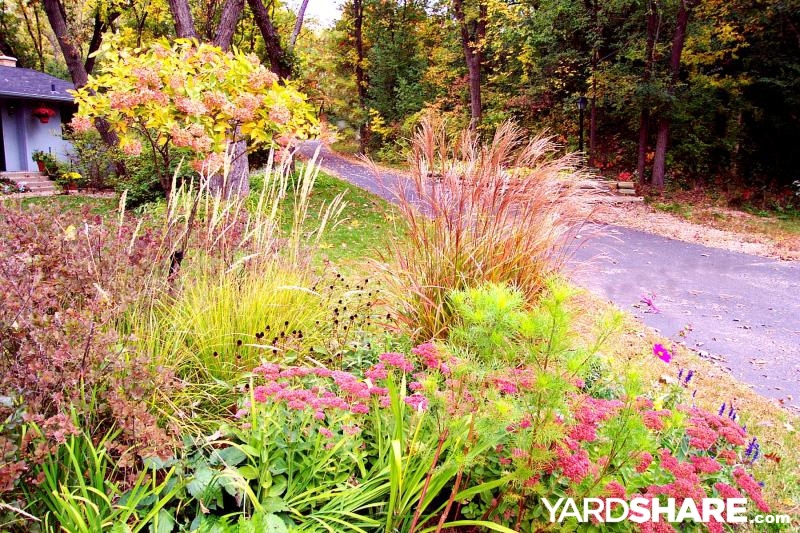 We utilized gentle contouring, wooded edges, and "landscape islands" to develop friendly screening. 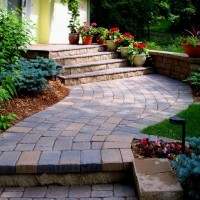 At the same time, we gave them a new entry courtyard with a sitting wall & gently curving front walk, welcoming visitors to the home. 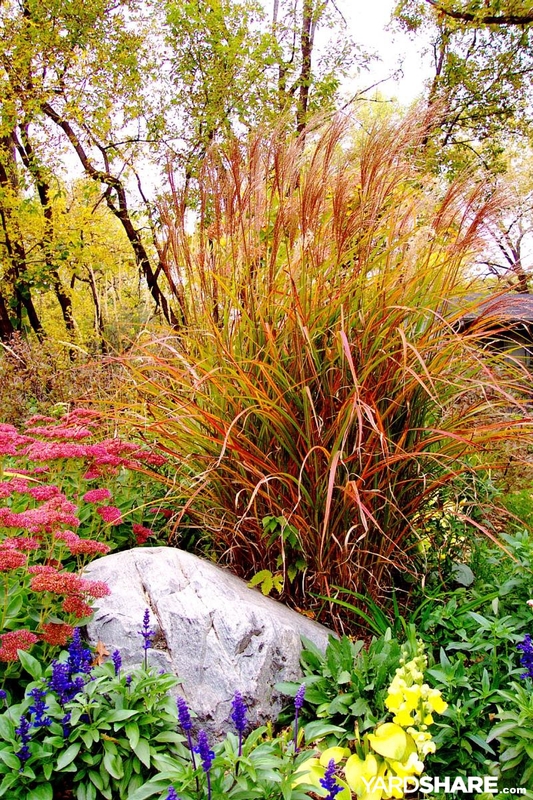 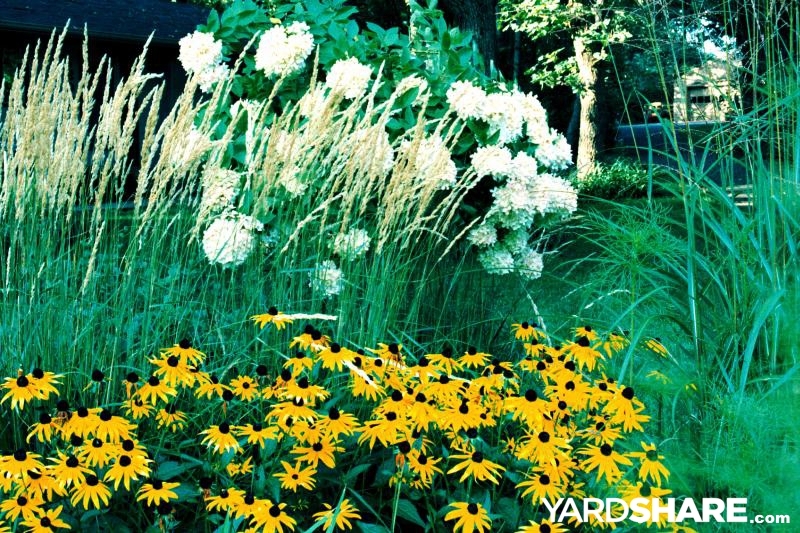 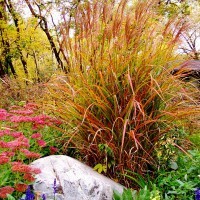 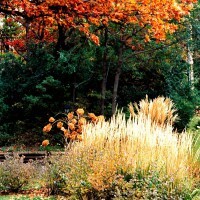 2 of 7: Soft-textured ornamental grasses are late-season eye-catchers. 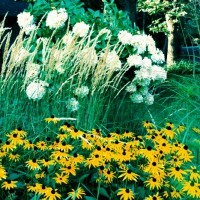 3 of 7: Simple, elegant, textural combinations are valuable screening and drama. 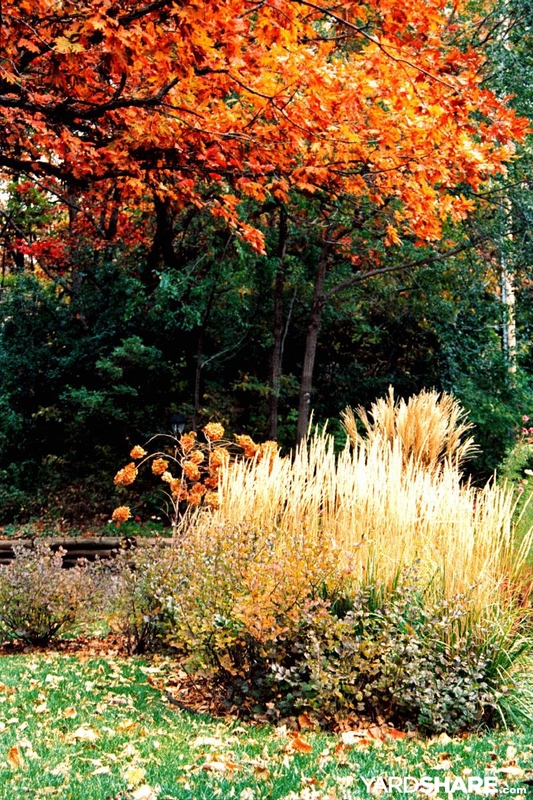 4 of 7: Bold displays bring color through the autumn months. 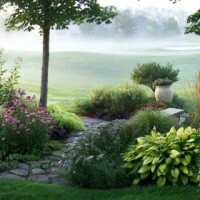 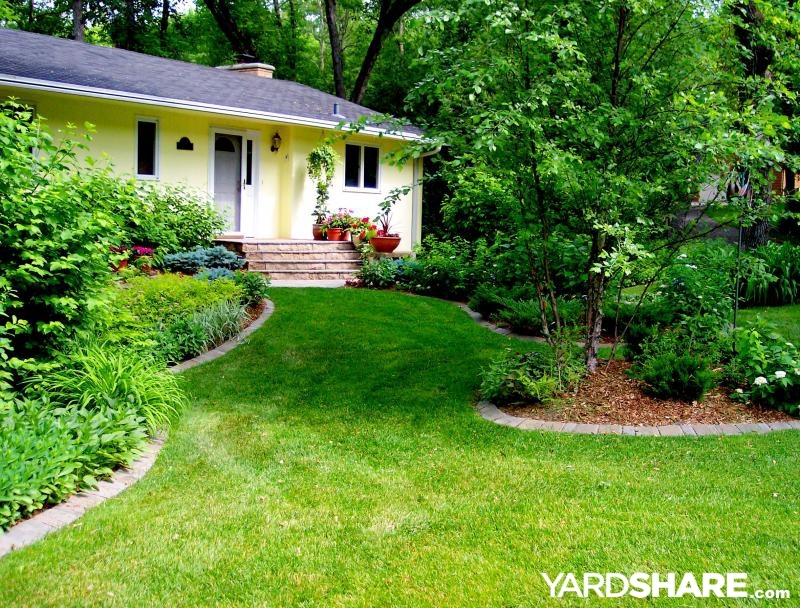 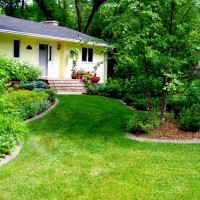 5 of 7: Lawn paths meander through the landscape islands. 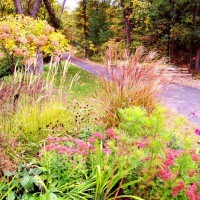 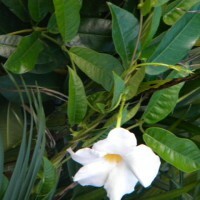 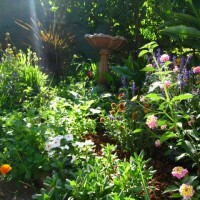 6 of 7: Visitors are welcomed through a hillside of colorful plantings. 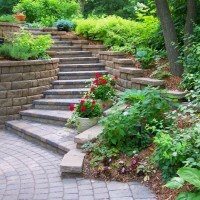 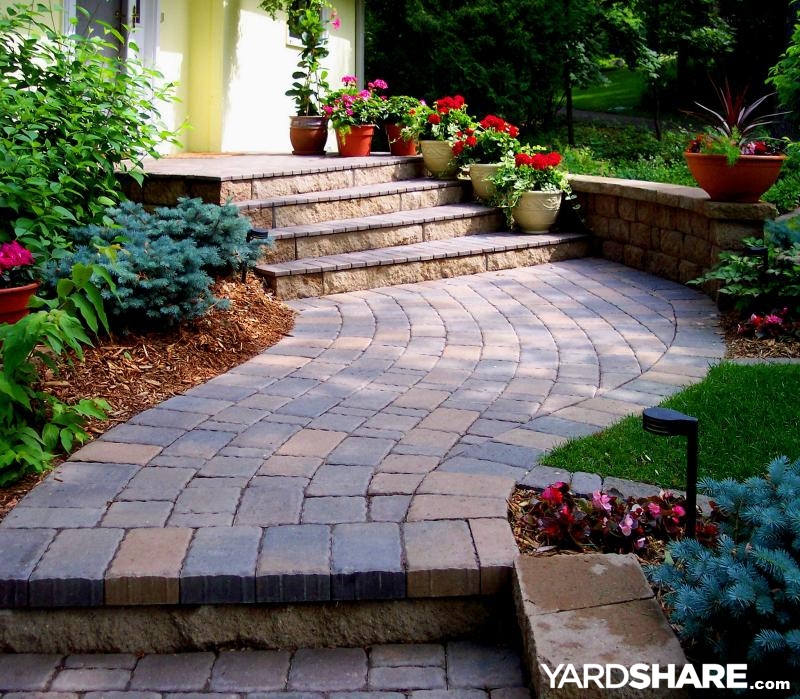 7 of 7: A meandering entry courtyard steps into the garden.